For anyone that’s just getting started, workflow management isn’t the easiest field to get into. Before you even know the basics, you’re bombarded with hundreds of corporate buzzwords: process mapping, workflow automation, you name it! So you end up wondering – what the heck is a workflow, and how can I use it to make my business more efficient? Well, we’re going to explain just that! So, What Exactly is a Workflow? To put it simply, a “workflow” is how you get work done. It’s a series of tasks you need to complete in order to reach some repeatable business goal. The key word here is repeatable. The workflow shouldn’t be confused with a task (a one-time to-do), or a bunch of tasks bulked together (that’s a project). It’s a chain of tasks that happen in a sequence and something that you do on a regular basis. To give you a better idea of how this works, let’s cover a practical example: employee onboarding. Whenever you hire a new employee, you need to explain how the company works, what their role is, and so on. The above, though, isn’t exactly a workflow. When people refer to “workflows,” they mean the graphical representation. This is usually done in the form of a workflow diagram and documentation, or workflow management software. At the end of the day, simply listing out the tasks is nice, but it doesn’t really do much for your business. Visualizing them, though, can really be a game changer. 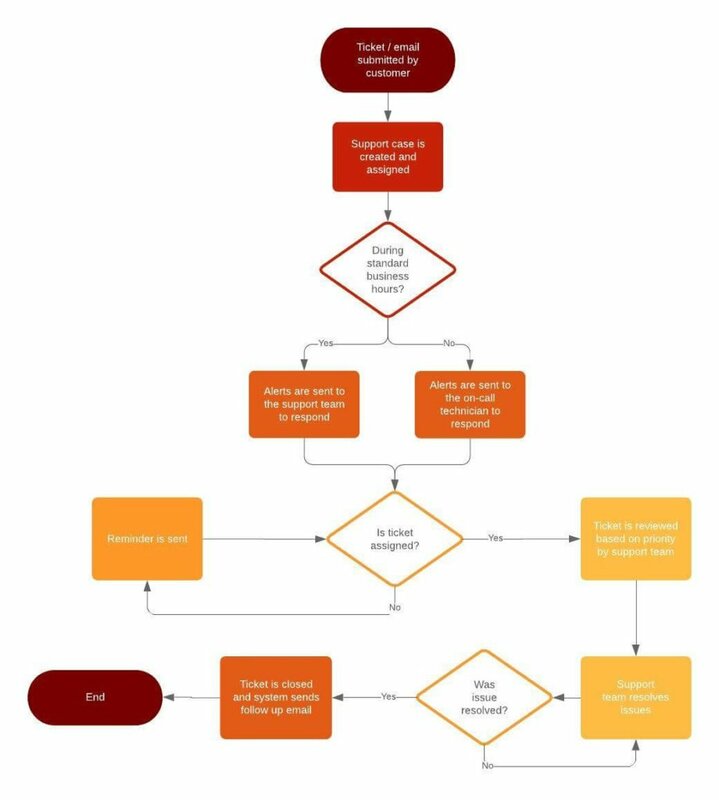 By drawing a workflow as a flowchart & documenting any essential information on completing it allows you to analyze and improve the process, as well as eliminate bottlenecks. Using workflow software, on the other hand, allows you to track all your workflows from start to finish. To help you get the most out of your business, we’re going to explain how to document your workflows, as well as use workflow management software to track and automate them. How exactly, do you complete each step? What kind of tools, hardware, or software, do you need to complete the step? Who’s in charge of which steps? Workflow Analysis and Improvement – You know that you have workflows in your business, but are they as efficient as they possibly could be? 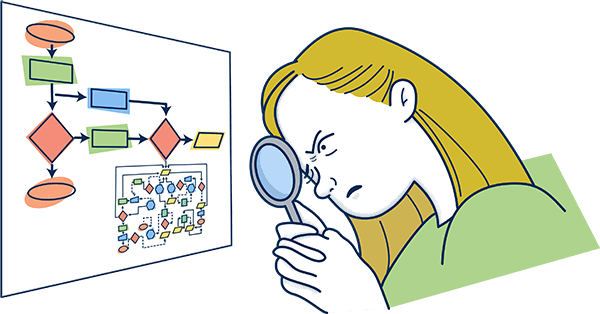 For most organizations, the answer is a hard “no.” Creating the diagram and documentation allows you to analyze the workflow and find bottlenecks and inefficiencies. New Hire Onboarding – Whenever you make a hire, you need to explain to each new employee how to carry out specific workflows. This can mean a lot of involvement and time wasted on your end. With documentation, your employees have a single document to both learn from and refer to if they forget something. And finally, export the workflow as a PDF (or whatever document type you prefer). Scope – Which teams, departments, and specialist does the workflow involve? If the workflow is for creating and approving a marketing budget, it could involve the marketing team and CFO. The Procedure – The exact steps that the workflow involves and the relevant diagram. Then, host the documentation on your favorite online storage or project management tool. As a given, give access to any relevant employee. Workflow Software is a more modern solution to managing your workflows. 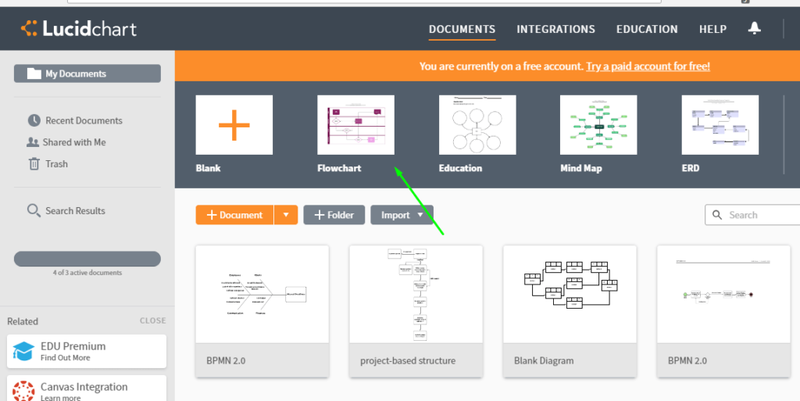 Instead of documenting your workflows on paper, you can completely digitize them using the software. You can create workflow documentation with the software (as you’d do with a diagram), but the software can also help with the execution. Instead of just giving out access to the document, you register your employees on the software and assign them to a given workflow. Whenever someone starts the workflow, the system notifies the relevant employees about it, and they’re automatically assigned tasks, deadlines, and so on. The main difference between software and the usual documentation is that the software is just a lot more efficient. You can see what’s going on with your processes real-time, who’s in charge of what, whether there are any bottlenecks, etc. Workflow Automation – The software automates communication. Instead of having to send out tons of emails to delegate new tasks, the software does this for you (leaving your employees more time to focus on work that creates value). Accountability – You can, at all times, know who’s in charge of what task or workflow. Meaning, if something goes wrong, it’s easy to find the reason behind it. This makes your team more accountable for their work. Spotting Bottlenecks – The software lets you know whenever there are missed deadlines or bottlenecks within a workflow, allowing you to come up with a solution ASAP. Efficiency – As a result of the benefits we’ve mentioned above, your business ends up being more efficient overall. Reporting – Most workflow management software gives you access to analytics and reporting, allowing you to measure and improve workflows. The first step to getting started with workflow software is to create an account. If you want to give Tallyfy a try, head over here and register. As a given, to get the most out of the platform, you need to have all of the employees (that are relevant to the workflow) on board. You’ll see a pop-up asking for the employee credentials. Send out as many invites as needed. Once everyone’s on board, you can start creating the workflows. For each step, you can set deadlines, explain how to complete it, assign it to any specific employee, and so on. The software will take over the execution from here, and all you have to do is just sit back and relax! Want to learn more about different workflow management tools available on the market? Check out our guide to some of the very best ones out there! Want to start documenting your workflows, but don’t know which ones to start with? If you’re publishing one piece of content per month, this isn’t that much of an issue. If you have a bunch of different articles and guides being produced at the same time, though, things can get confusing. 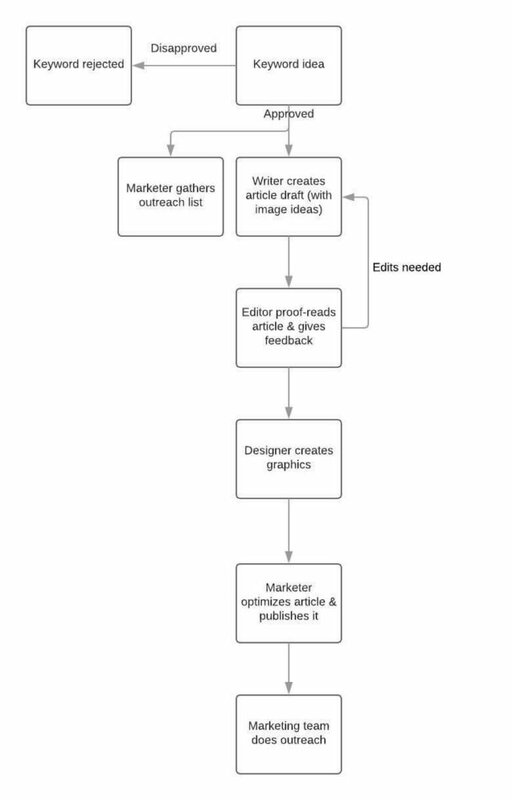 Creating a content marketing workflow can help keep track of the entire process and ensure that everything stays on track. The editor fixes up the article, leaves comments, and marks their step as complete. The designer creates the assets, uploads it to the software, and marks the step as done. The writer gets a notification back that everything is ready. Then, they compile the final article, add images, make changes, and finish the step. The marketer uploads the article on WordPress, optimizes it for SEO best practices, and publishes the piece. 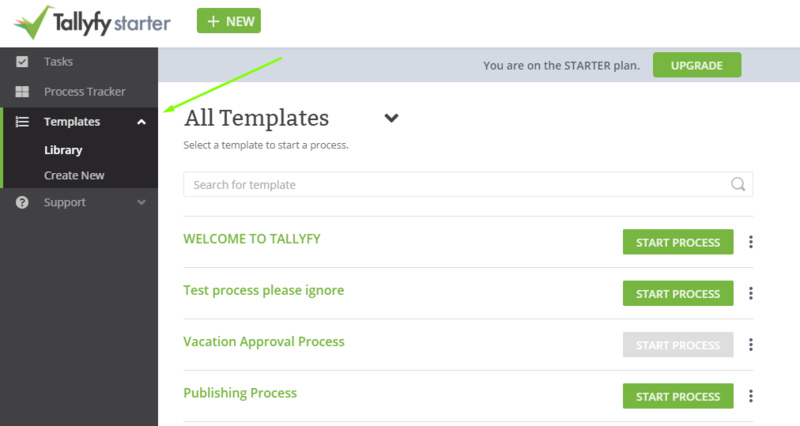 You can use Tallyfy to get the most out of your content marketing workflows. Check out our guide to learn more! Employee onboarding is a process that’s present in just about every company. For most organizations, though, it’s more or less an after-thought. They don’t go out of their way to structure the process and make the experience as welcoming for the employee as possible. The thing is, though, the right onboarding process can really benefit your organization. In fact, it can increase your employee retention by up to 25%. Using workflow software can make your employee onboarding significantly more efficient. Want to learn more? Check out our primer to new hire onboarding. 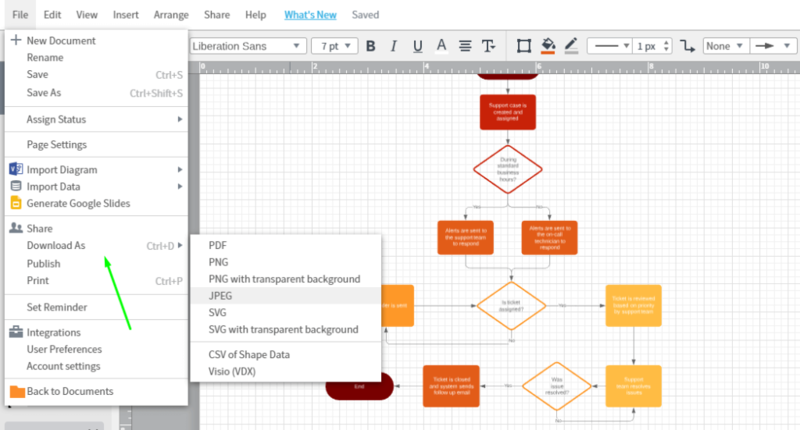 Now that you know how workflows “work,” you might want to start using them in your business. And what’s a better way to start than by using the right software? Give it a go, it’s free for up to 5 users! Video Guide – What are some process improvement examples?